Do you have a calendar for 2018 yet? Hi friends. Dana Tatar here today sharing a functional home décor piece. I spent the last couple weeks of December in a vacation haze. I wasn’t really sure of the date or the time many days. Now that the New Year is here, I need to get back on track. I put together a colorful wall calendar to help stay organized. The strong bond of the Premium Double-Sided Tape and the 3D Foam adhesives are great for use on many surfaces, including wood! 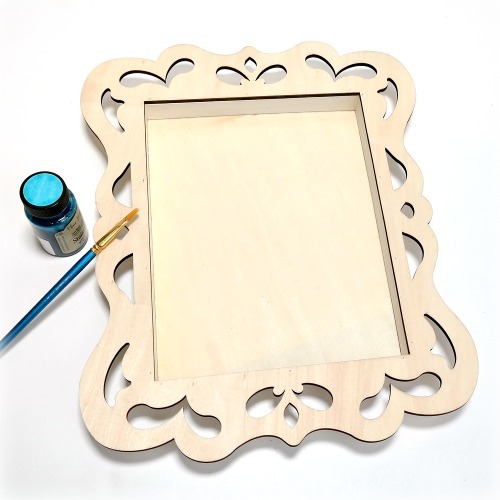 Step 1: Add color to the decorative frame. Step 2: Line the inside edge of the frame with paper. 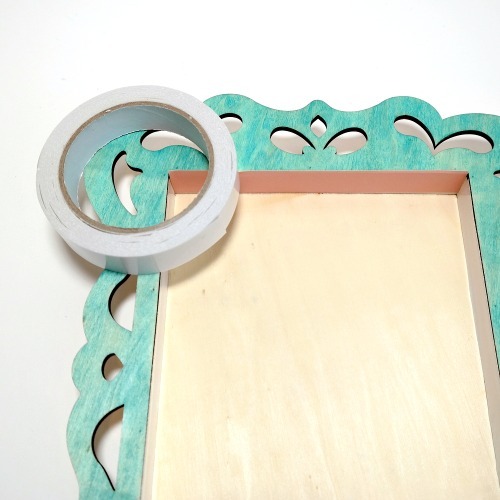 Cut pieces of Premium Double-Sided Tape and press onto the frame. Remove the liner from the tape and apply strips of paper over the tape. 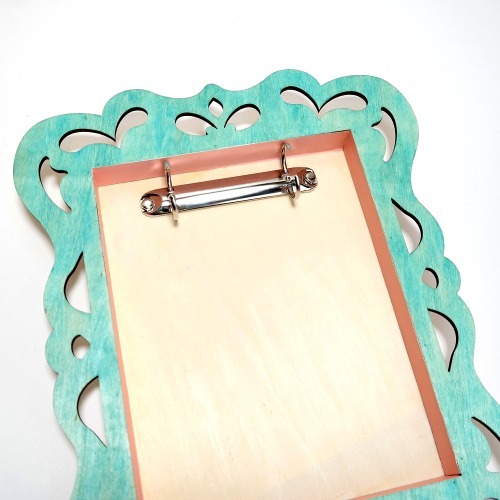 Step 3: Attach a ring binder to the top of the shadow box. 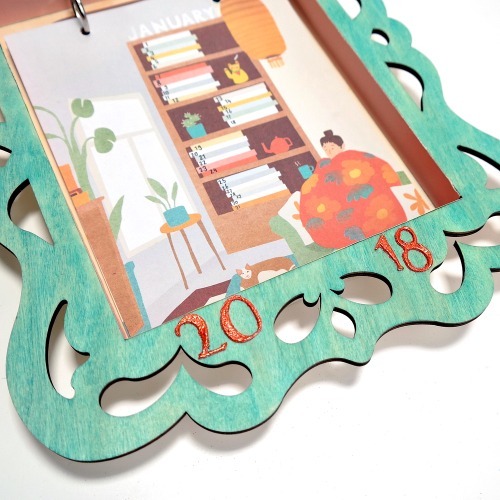 Punch holes into calendar sheets and place onto the binder rings. I used monthly calendar sheets from the new Book for Paper Lovers from Flow Magazine. Step 4: Add the year to the frame. 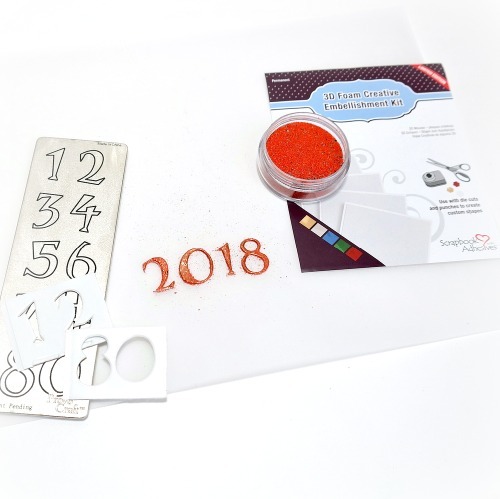 Use a number die to cut the year 2018 from a piece of 3D Foam Creative Sheet from the 3D Foam Creative Embellishment Kit. Remove the liner, sprinkle with embossing powder, and apply heat to set. Alternatively, use the craft foil sheets included in the 3D Foam Creative Embellishment Kit to create metallic numbers. Thanks for stopping by today! How do you stay organized? Let me know in the comments section! This entry was posted in 3D Foam Shapes, 3D Projects, Altered Art, Home Decor, HomeHobby by 3L, Mixed Media, Permanent Adhesive, Premium Double-Sided Tapes, Tutorial, Wear your Adhesive on the Outside and tagged 3D Foam Creative Embellishment Kit with Foil, 3D Foam Creative Sheets Mix, Calendar, Heidi Swapp, Home Decor, HomeHobby by 3L, Mixed Media, Premium Double-Sided Tape 1", Ranger Ink, Tattered Angels, Tim Holtz. Bookmark the permalink. 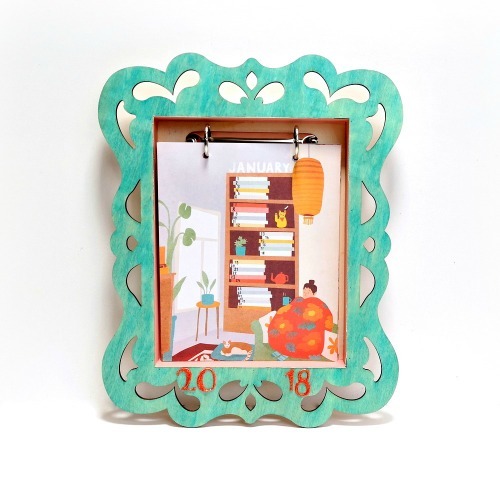 4 Responses to "DIY Shadow Box Frame Calendar"
This is AWESOME!!! I loveeeeeeeeeeeee it!!!!!!!!!!!! Thank you Julie! Happy New Year!